A SAN FRANCISCO confectioner played a neat trick on his customers with a moon dial displayed in his window. But one night when the moon failed to shine the clock, made, by the way, entirely from sugar, kept on telling time just the same. Later it was discovered that the confectioner had arranged lights in the interior in such a manner that the joke went undetected. Sorry. I do not understand this article. Enlighten please. As far as I can tell, except for the clock parts, the wires and the lights, it is made entirely out of sugar. It’s a moon dial. The same thing as a sun dial only it uses the light of the moon to tell time. When the moon was not visible he used artificial light to replicate the moon light. RBayard, I was thinking that, but would a moondial or sundial work with the face of the clock at that angle?? 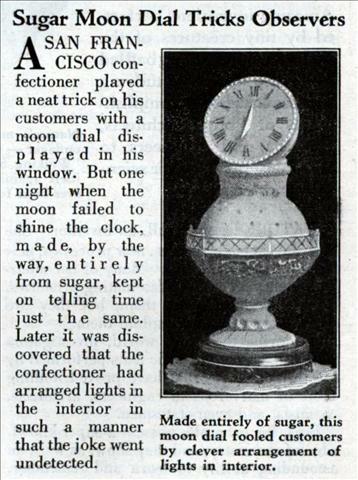 I’m wondering if “moon dial” was being used as a generic term for a clock that was viewed at night. I’m liking the idea that the candyman made sweet fiber optics out of sugar that encircle that clockface and the light feeding them is in that orb part. 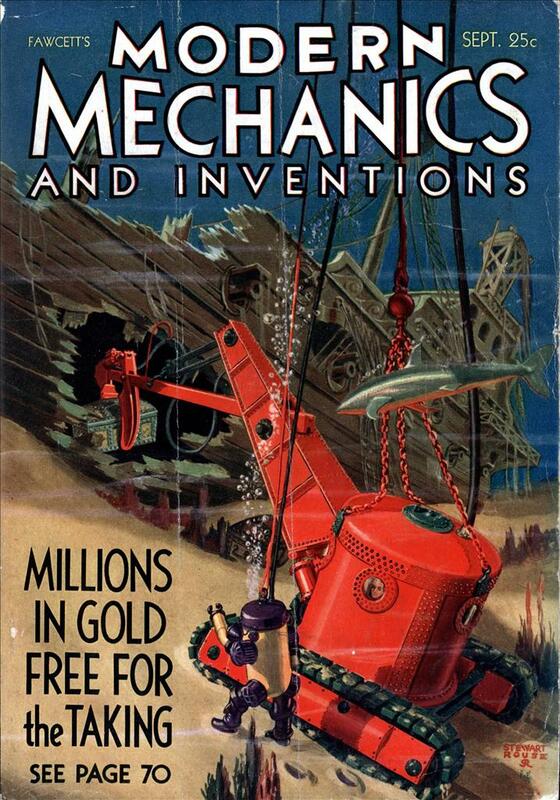 I think the point is, he pretended to have a moon-dial – a shadow clock that told time by the moon (which would only work if it had some serious almanac-based adjustments each day, I think.) But his trickery was exposed on a moonless night. Sort of a practical joke on the local folks, and a word of publicity or two.